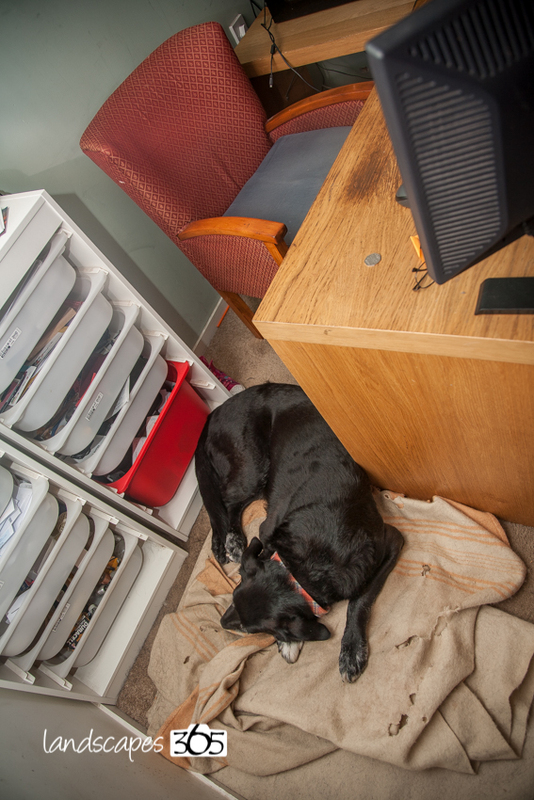 We know all about the Senior Assistant’s photobombing habit and the amount of landscape images that she has dogscaped. But did you know about her territorial demands in the office? 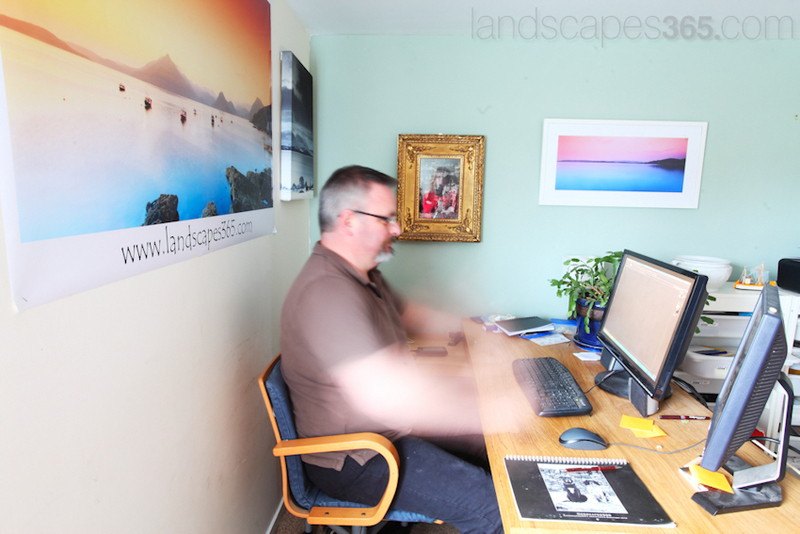 I share an office with the photographic powerhouse that is Love Skye Photography. She has a desk near the door and I have a bigger L shaped desk in the corner. It used to face the door with my back was to the outside wall of the room. This meant that the Senior Assistant could hide under a leg of the L in the corner. She could avoid adults and children while napping for hours in a protected peaceful environment. However Rosie and I are a restless easily bored pair and change is always on the horizon. I moved my desk 90 degrees. Where once the Senior Assistant snored and broke wind contentedly there now resided a pair of cheap and functional Ikea drawer units. The Senior Assistant is not of a restless mind. She thrives on continuity. She relies on things staying the same. So the world turned around her and she didn’t move. I now have to step over her to get into my desk. 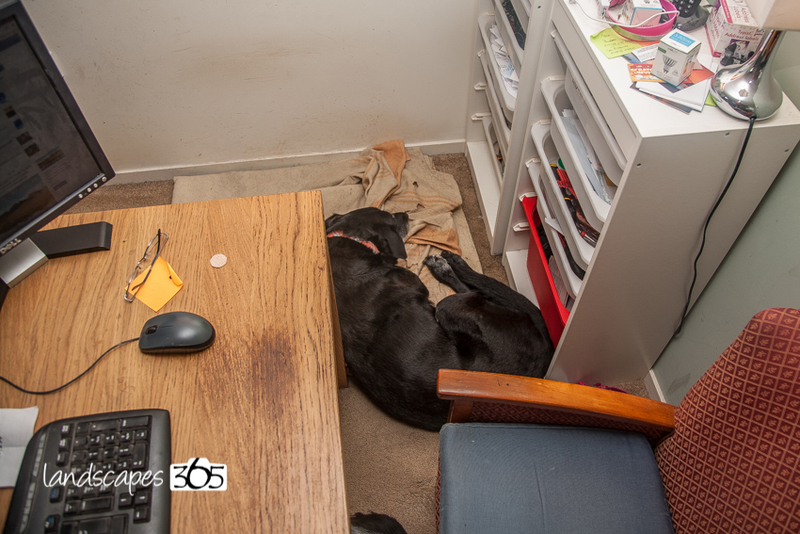 She either wedges herself between the desk, my chair and the drawers or spreads out and makes the step over her as wide as she can. Her world’s axis may have shifted slightly but she can snore , fart and twitch in her sleep content in the knowledge that somebody is suffering because of the change.